Halloween is here. 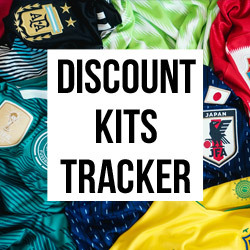 If you need costume ideas, we've blended football and Halloween together to give you some inspiration! It's that time of year. Halloween is here. Though with this craze of clown attacks, it feels like it's been here for weeks! FOOTY.COM needs no excuse to get the Photoshop brushes out, which is why we've dabbled in a bit of Halloween concept creativity. 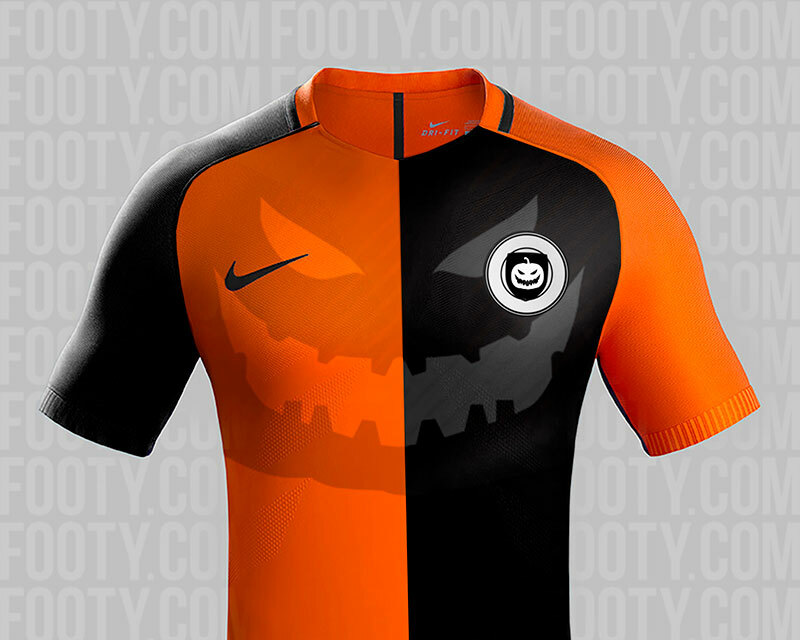 If you were with us last year, you may remember our Nike Halloween football boot concepts. This year, we've gone with some horror shirts to give you the creeps. 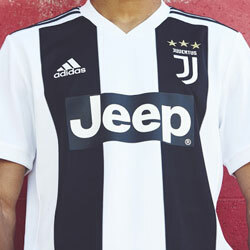 Novelty football shirts are all the rage these days. From the skull infused design of St Pauli's third shirt, to the ridiculous tuxedo template of a Cultural Leonesa's 14/15 home shirt; great for stag do's, or simply causing a stir at your 5-a-side gathering. Maybe our concepts can spark the next line of shocking shirts!? We'll let you be the judge. The unmistakable outline of the ghoulish Scream mask. Simple but chilling. A cult 90's classic, the Scream film threw together the perfect blend of horror and irony. Our design fuses the blood splattered slasher element, with the bold face and dark shadowy figure of the assailant. 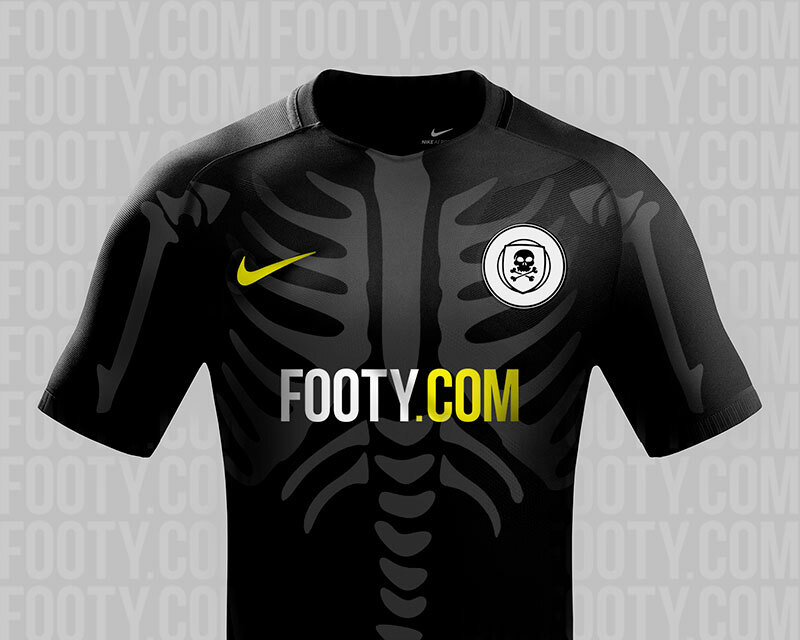 Which team could you imagine creeping around the pitch in this design? We daresay Luis Suarez could pull it off nicely. Or would that be the vampire edition? A kit designed to carve open the opposition! Orange is the new black. Or is it the other way around? We're undecided. Adorning doorsteps across the land, the pumpkin is the classic Halloween icon. We've used a somewhat underused half and half split design to give the pumpkin outline a two-tone look. Who could you imagine 'carving' open the opposition in this get-up? 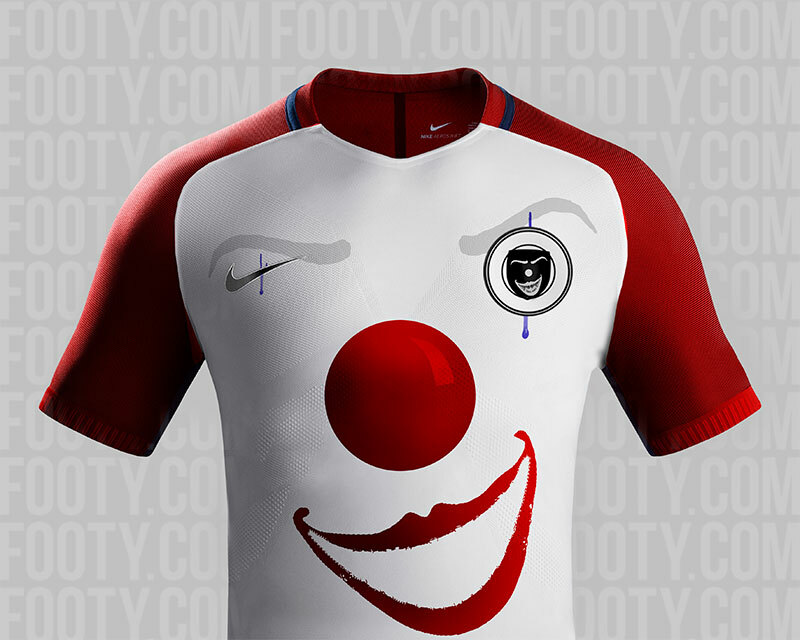 As the craze of clown attacks and incidents continues across the world, it only seemed natural to make a football shirt with those features in mind. Our clown shirt is inspired by Pennywise (The Dancing Clown or Bob Gray), the title character and main antagonist of Stephen King's 1986 horror novel 'It'. Many people see clowns as a face of horror rather than fun and comedy. We've added the subtle (and not so subtle) features to this shirt - the red sleeves representing the wild red hair. 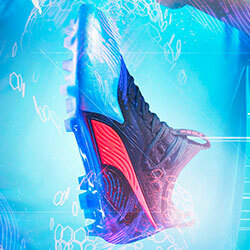 Which footballer would this design be most fitting for? David Luiz? No you haven't got X-ray vision. 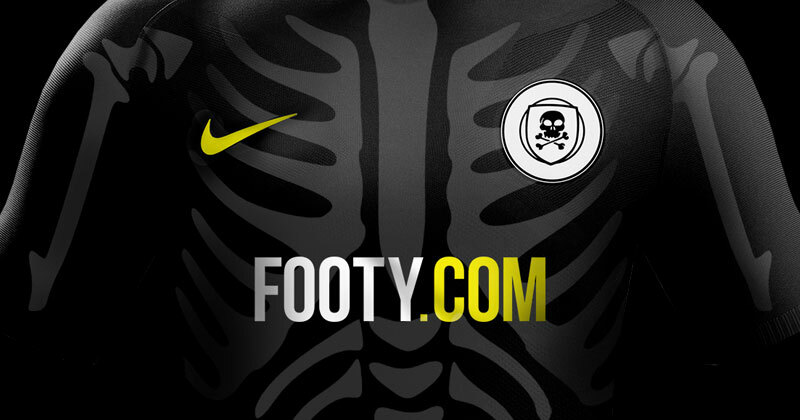 We reckon our FOOTY.COM skeleton shirt could really catch on. It's a simple but effective design. The results of an Alex Ferguson half-time hair dryer team-talk!? Quite possibly. 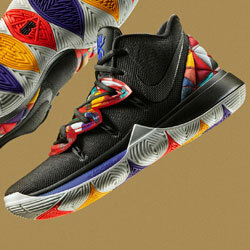 Imagine this design on a full length kit, all the way down to the socks. 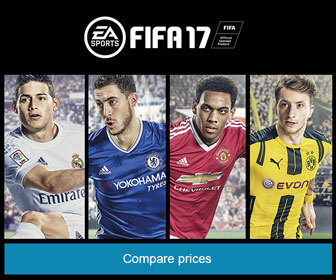 The Michael Owen edition would be a mess. Metatarsals everywhere. Which of these kits would you like to see become a reality? 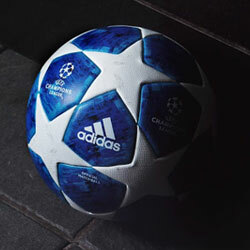 Or which team could you imagine running out in one? Let us know in the comments section and we'll forward it to Nike, who will put our request straight in the bin. Make sure you follow us on Facebook, Twitter, Instagram and YouTube! Serie A clubs have some of the most recognisable badges in all of football, but what's behind the designs?